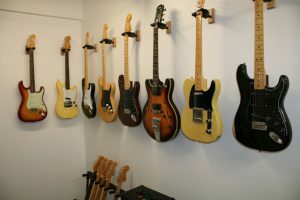 Welcome to my photo gallery of my favourite guitar related pics. 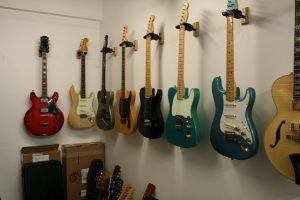 A few guitars hanging on the wall of my old Vancouver shop. 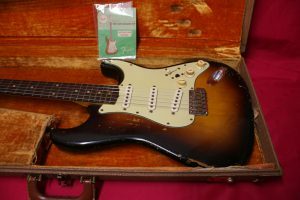 A 1959 Strat I sold through the Vancouver store, a nice one owner piece handed down to a son. 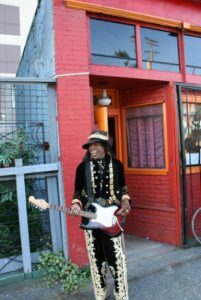 A Jimi look alike at the opening of the Strathcona Hendrix museum in Vancouver. 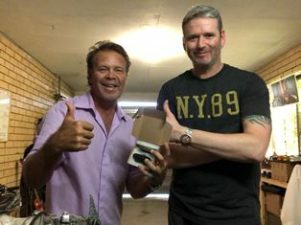 The museum is housed in the building that was once the chicken shop that Jimi’s grandmother worked in. 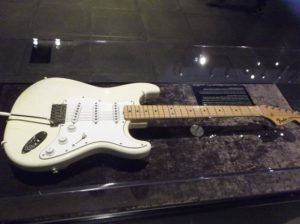 Jimi’s Woodstock guitar at the Jimi Hendrix experience centre in Seattle. The wood around the truss rod was chewed out from constant adjustment he must have had a busy guitar tech! 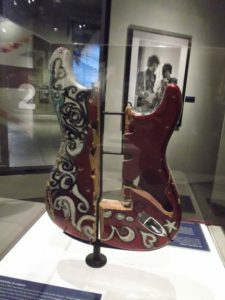 One of Jimi’s guitar that he smashed in London. 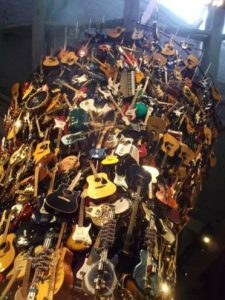 The spiral of guitars sculpture at the Experience centre Seattle. 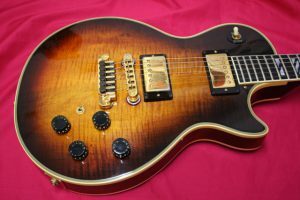 A 1979 25th Anniversary Gibson Les Paul I serviced in Vancouver. 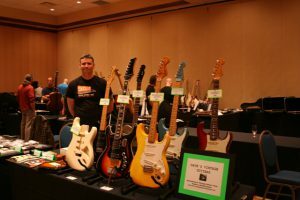 My table at the first Edmonton guitar show in Canada. 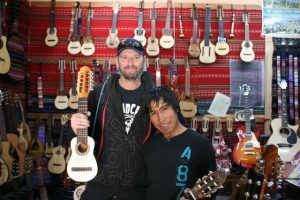 A visit to a luthiers shop in La Paz Bolivia to buy an Andean 8 stringed instrument called a Charango.